Amadeus Tan is an aspiring musician who is a holder of the Trinity Associate Diploma in Piano Performance. He has attended the Overseas Masters Winter Piano Academy 2014 at Yehudi Menuhin School of Music led by Malaysian pianist, Bobby Chen. He recently participated at the Asian International Piano and Festival 2016 in EWHA Womans University, South Korea, where he was awarded the bronze award in the solo open category. His father, Dominic Tan, an accomplished pianist, was his mentor during his formative years. Apart from his Dad, he also owes his appreciation to Malaysian Pianist Grace Lee Sui Lin, British Prof Murray McLachlan, Australian Prof Leslie Howard, Russian Prof Mikhail Kazakevich, Taiwanese Prof Nam Yeung, and Korean Prof So-Yeon Yang. Amadeus was the Lead Flutist for the Sabah Boys’ Brigade Band, the former Sabah Boys’ Brigade Band Choir Director, and recently a panel judge for the Brigade Star event. Amadeus has been under the tutelage of his mother, Debra Ann in teaching piano to students of all ages. He is also an apprentice of Audrey Chin in training the very young in acquiring the musical skills of rhythm, melody, and dynamics from as early as 3-years of age. 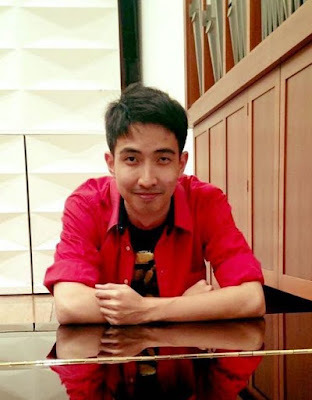 He is currently the pianist for the Jesselton Philharmonic Orchestra. Amadeus believes that music is a force that brings all people together.